At Olsen Fish Company, we are devoted to preserving the tradition set before us. 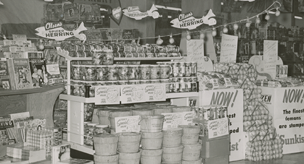 Our heritage is rooted in providing the best quality and best tasting Herring, Lutefisk, Stockfish and other Scandinavian specialty food products since 1910. From the depth of the seas to the heart of the continent, we care deeply about sourcing the highest grade and ecologically sustainable food products for our customers. Our seasoned staff and valued vendors know our process inside and out. We hand pack our products fresh-to-order to ensure only the highest of quality and we have the widest variety of packaging options to suit our customer needs. 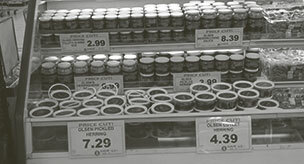 Our Herring products are all natural, kosher (OU), and gluten free for all to enjoy. 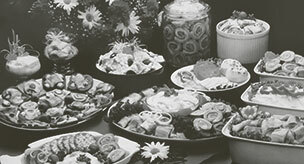 The Lutefisk and Stockfish are still imported from Norway and produced in the old-world traditions. With our tradition and focus on quality products, you can see why our customers have come to know and love Olsen Fish Company. We are very proud of the products we produce and import and we cannot wait to share them with you. Offering high quality Herring, Lutefisk, Stockfish and specialty products. Products are available in bulk, retail cases, and specialized programs. We feature distinct brands with the finest products.